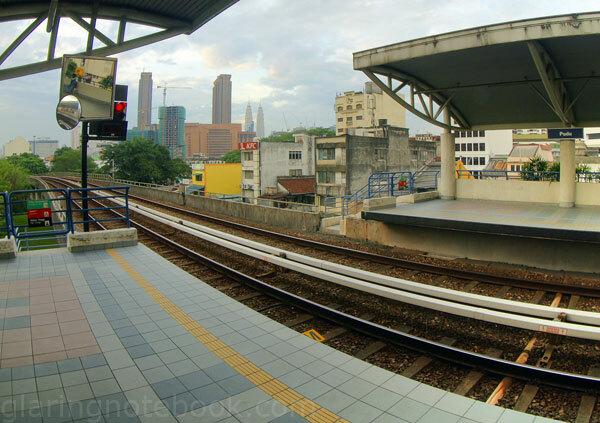 How To Get To Pudu Plaza By Public Transport! 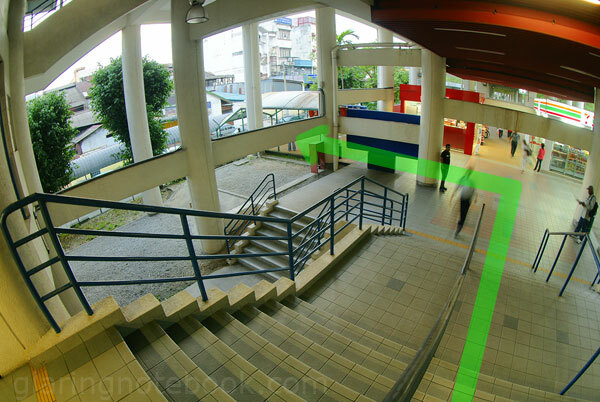 First, here’s a quick overview using Google Maps – you need to walk from the Pudu RapidKL (STAR LRT/Sentul/Ampang/Sri Petaling line) station. 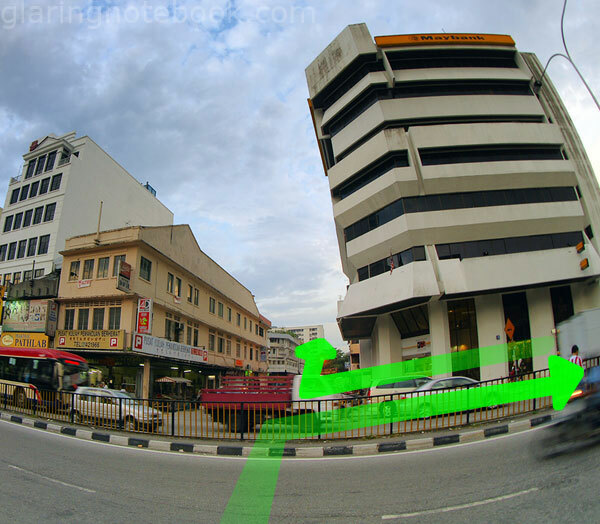 You’d go out, follow the back of the shops, come out at Maybank, and pass by the shops. Circled in red is Digitalsmania, a camera accessories shop. It is on the Lower Ground floor, meaning when you get there you take a floor down. They carry lots of interesting bits and ends! 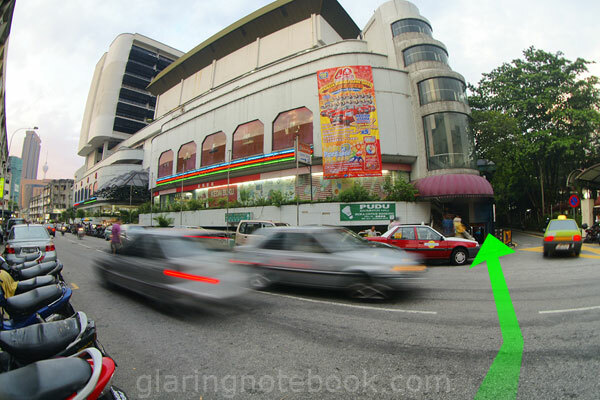 Circled in green is YL Camera, a second-hand lenses/cameras and camera/lenses shop. It is on the First floor, meaning when you enter you take a floor up. 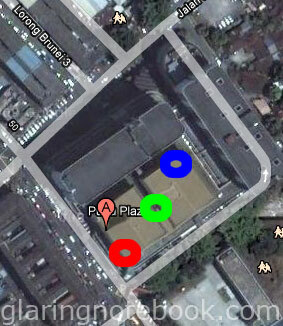 Circled in blue is Studio Zaloon, a camera/lenses shop. They’re having a launch this Saturday 9th January 2010, 12 Noon, of their Sony Alpha Pro Shop. Come by if you’d like to try some of the more exotic Sony Alpha lenses! Not circled, but covered by the “A” label, is E-Six, a film processing shop. This is the only place in Malaysia that still processes positive slide film using the E6 method! Every other shop can only do C41 for standard negative film. 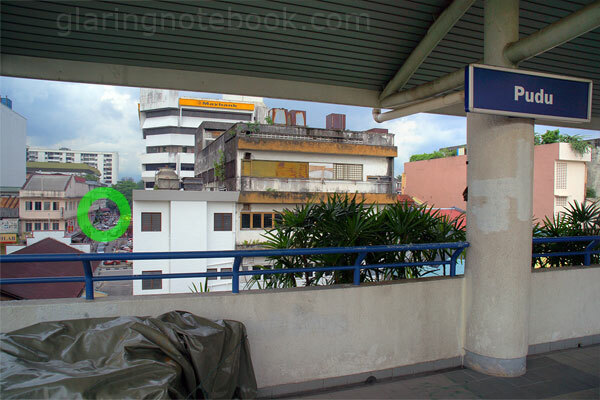 You’d need to be at the correct Pudu LRT station – some people have mistakenly gotten off at the Hang Tuah LRT station which is next to Pudu Jail, and some others get off at Plaza Rakyat LRT which is next to the Pudu Bus Station. 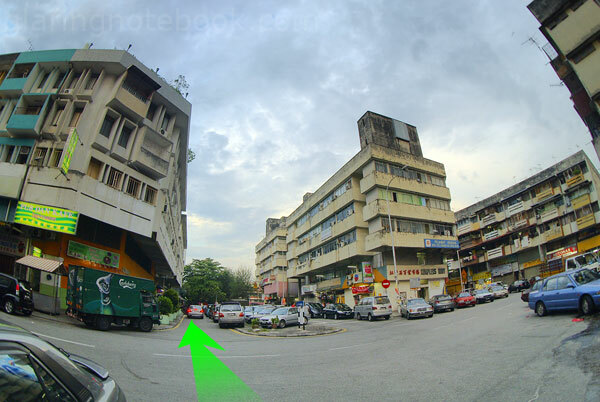 Alternatively, if you get off on this side, you can probably spot a corner of Pudu Plaza from this side. 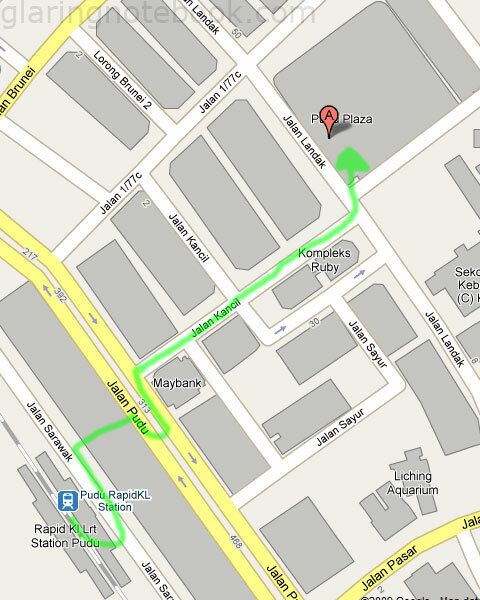 Anyway, exit the LRT station and turn left. 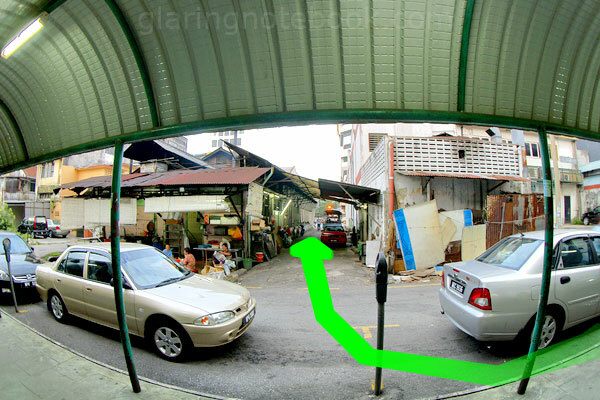 …until you find this shaded lane, between the two Sek Yuen Restaurants. 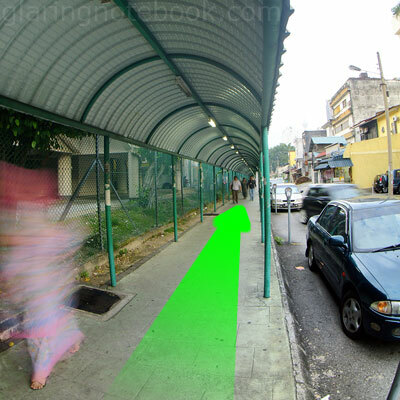 Here’s the tricky part – cross the road, then go right to find the opening in the fence, then cross again and go left along the Maybank. Or you could go left (not shown in picture) and take the overhead bridge. You should find yourself in a quiet street. Keep going forward. Go up the stairs to go to the Ground floor (and take the escalator up to YL Camera) or go diagonally across the building to reach Studio Zaloon. 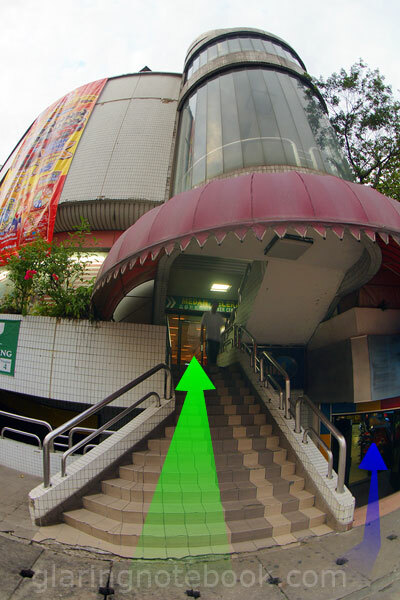 Alternatively, following the blue arrow you can go downstairs, walk through the arcade. The moment you exit the arcade, Digitalsmania will be on your left. Hmmm, I need to get a picture of the actual Pudu Plaza map; if not refer to the second picture for the relative positions of the shops – should be quite easy to find! 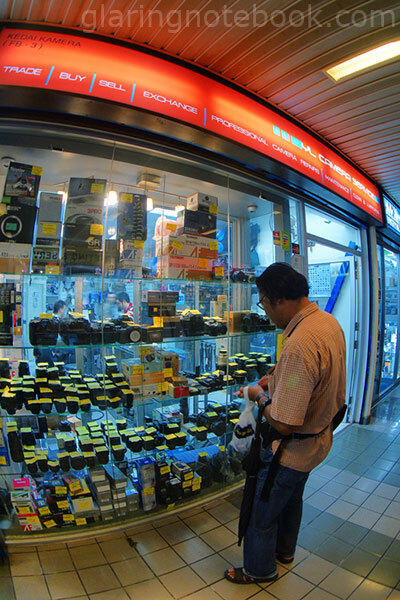 This is probably the most famous second-hand lens/camera shop in KL. Not that I know of anywhere else even in PJ! I don’t have a proper picture of Digitalsmania, because they will be moving! I don’t have a proper picture of Studio Zaloon, because they just renovated! Did I mention that there is a launch? Why: There will be door gifts, a lucky draw, a photo competition, food and beverages and workshop registration (for Sunday). This entry was posted in Geek, Pictures, Travelling on January 8, 2010 by 2konbla. This is a must-print-out for non-KL camera geek. Thanks Albert. Hey, I know that man in the last picture! Haha.